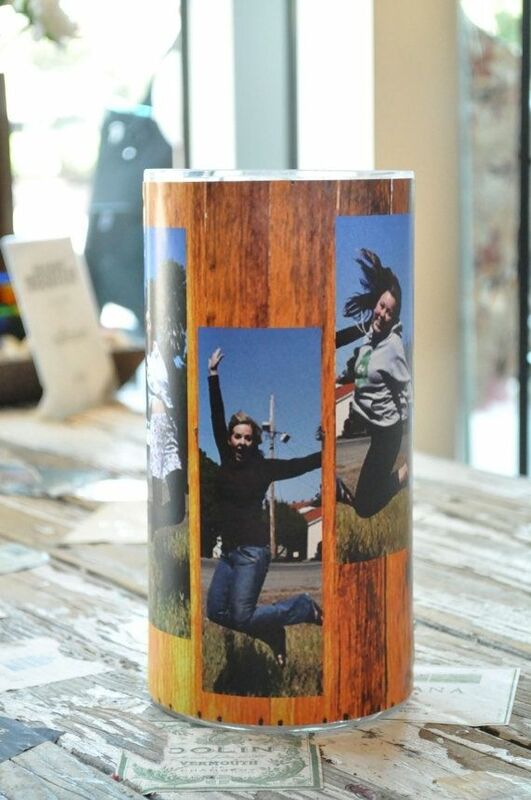 This is a personalized photo vase that looks great with four tea lights that make it dance with light. 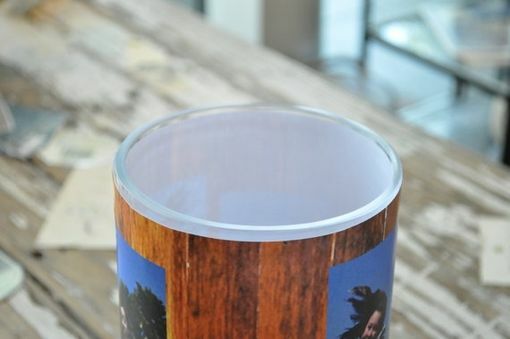 Or you can use it as a vase to place flowers in. Just send us your photo files. 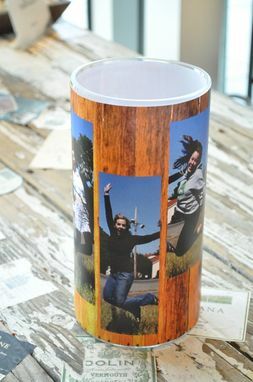 We'll add them to the graphic and seal it with two coats of polyurethane. It's 10" tall and 5" across.